Man, has it been a LONG week or what? Thankfully, it has also been a very fast-moving week filled with both work and play. I have a recap of the weekend coming tomorrow because, like I’ve been saying, I feel like I never talk to you all anymore! Expected in college though, right? We’ll all float on alright. Anyway, here are the workouts that I squeezed into this past week’s busy schedule! 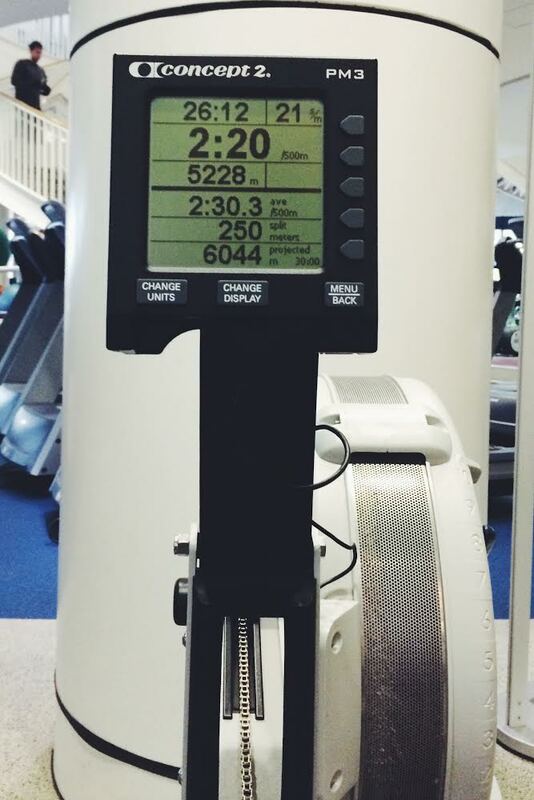 …But I was still pretty sore, so 500 reps instead of 1000 was PLENTY. Jess is a badass partially due to her intense workouts (partially because she’s a supermom), so I was quite smoked with this one. That burpee and rowing workout wiped me out. ‘Twas awesome. 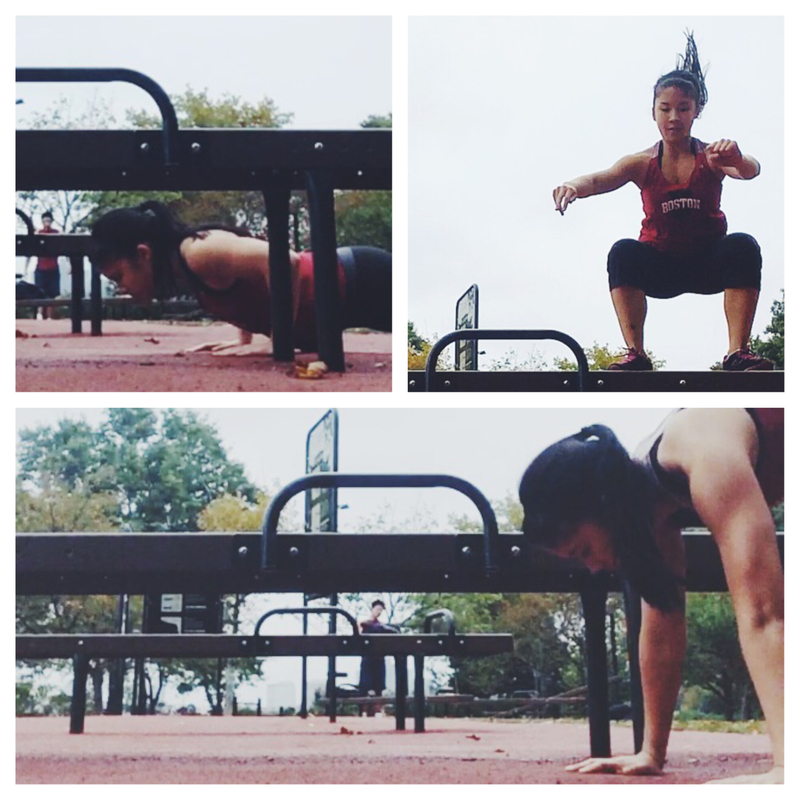 I wasn’t feelin’ a real workout on Friday, so I just headed to the outdoor fitness park to just play around. I practiced double unders, did some pushup variations, and some burpee variations! I’m typing this on Saturday, and I have a feeling my inner thighs are going to be sore tomorrow/today (Sunday) from those sumo squats. I haven’t danced ballet in forever, so that second position plié has not been visited in a while. This entry was posted in Fitness, Life and tagged burpees, cardio, daily moves and grooves, exercise, Fitness, leg workout, lifting, lunges, pistol squats, rest day, rowing, squats, strength, tabata, weekly workouts, weights. Bookmark the permalink. Those look like some killer workouts! I’ve been loving jogging down to my school’s fitness center and then creating circuit/strength workouts and jogging back. And I really love rowing! Haha the weather in Chicago is a little hit-or-miss. It’s slowly getting chillier, but some days still feel perfect and sunny and gorgeous, while others are gray and drizzly and depressing. That’s awesome, Ellen! I would jog to the fitness center since it’s so far, but I usually have a backpack with me haha.